Wow what a match-up, you got big Butterbean taking on Tank Abbott. 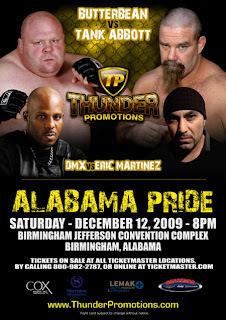 I didnt even know Butterbean was involved in MMA. Whats interesting about this match-up to me is that both Tank and Butterbean have pro wrestling experience an....WTF!?!?!?!?! IS THAT DMX?!? !